Whip up a little pouch to toss into your purse or give as a gift. (Mine is filled with lipstick, dental floss and an extra car key!) 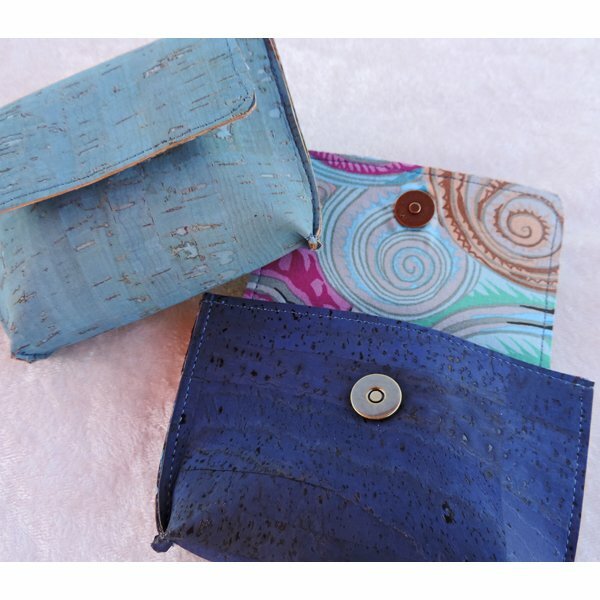 Choose a fabulous cork for the outside and line it with a cotton print. A magnetic snap keeps it closed. Pattern for 3 sizes included.